Digital Visual Interface (DVI) and Digital Flat Panel (DFP) are the two digital video interfaces. These are designed specifically for high performance data transmission applications and developed to meet the requirements of digital video, digital telecommunications and parallel computing applications. Digital Visual Interface is now the most widely used digital interface and the future of all video display, developed by a subset of the VESA membership (The Digital Display Working Group), is led by Intel and a number of PC and graphics card vendors. 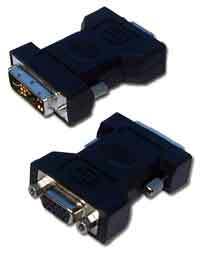 DVI uses Enhanced Video Connnector (EVC). Digital Flat Panel uses HPCentronics 20 and 26pin connectors. With the PanelLink technology in use, it will ensure seamless connectivity with digital flat panel monitors. 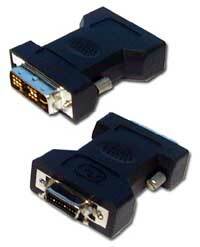 video display to any computer, switch or splitter with DVI port. This premium cable supports both single and dual link high speed DVI signals, has double shielding for maximum graphics performance and prevents signal loss & screen ghosting. display to any computer with VGA port,or vice versa. with HD15 male connector to any computer with DVI-I port. Connect any DVI-I flat panel with male connector to any computer with VGA port. Connect any 20Pin DFP flat panel display to any computer with DVI port, or vice versa. 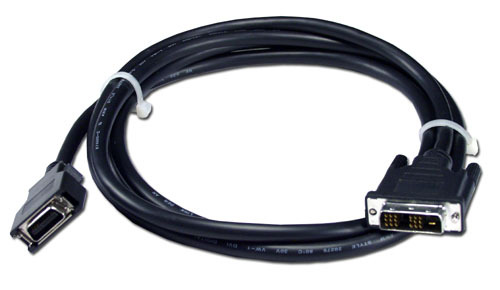 Connect any DFP flat panel with 20Pin male connector to any computer with DFP port. 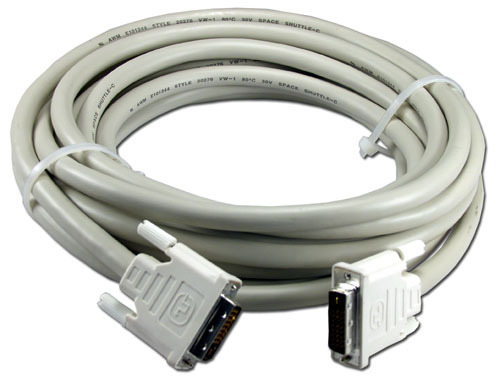 Connect any DVI flat panel with male connector to any computer with 20Pin DFP port. Connects DVI flat panel up to 50ft without using expensive signal booster. Connects any DFP 26Pin flat panel to DVI. Must be used with CF20D-FMA adaptor.